Is This What the Next Amazon Kindle Looks Like? Amazon is widely expected to introduce new Kindles at its event next week and it looks like we might be getting a sneak peek at the goods early. 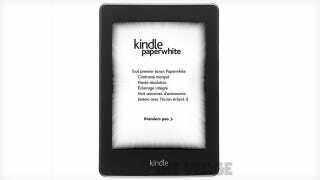 Here's an image that supposedly shows a new Kindle Touch with Paperwhite. Yep, it looks like the Kindle is finally getting a front-lit display a la the Nook Simple Touch with Glowlight.